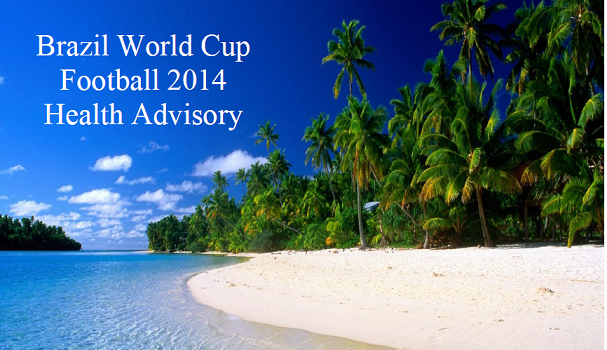 Travelers visiting the 2014 World Cup in Brazil will be most at risk of gastrointestinal illness and vector borne infections. Researchers have warned of a possible dengue outbreak in Brazil during the World Cup. The possibility of a large dengue fever outbreak during the World Cup, capable of infecting visitors and spreading dengue back to their country of origin, depends on a combination of many factors, including large numbers of mosquitoes, a susceptible population, and a high rate of mosquito-human contact. Therefore visitors should pay attention to standard hygienic measures to reduce the risk of gastrointestinal illness and protect themselves against mosquito and other insect bites. Riskpro has conducted a risk assessment to identify which infectious diseases present the biggest risks to travelers visiting Brazil during the tournament and the public health implications after the travelers’ return to his home country. Riskpro has also developed the current recommendations regarding the epidemiology and risks of the main communicable diseases and contaminated food and water based diseases. Contact us at info@riskpro.in to learn more about our security consulting, Women Safety Training Programs, Political Risk Assessment and more.